Ever feel the urge to walk barefoot on the beach or feel the grass between your toes? As it turns out, this urge goes much deeper than simply feeling good. It has been repeatedly demonstrated that there is a significant electrical interaction between the Earth and each one of us. Earth, as it turns out, is not neutrally charged as was originally believed – it has a negative charge. This means that is has an abundance of electrons. This charge does not interact with us too often since we live in insulated buildings and wear insulated footwear. In other words, we rarely touch the ground! Because of the conductivity of our soles, it was proposed that perhaps there was an electrical interaction between the Earth’s negative charge and our bodies. This hypothesis was tested many times and the results were nothing short of amazing. The culprits are “free radicals.” A free radical is a molecule that has become unstable because of the lack of an electron. Free radicals will ‘take’ electrons from other molecules in order to become stable, but in the process they produce more free radicals. In time, free radicals can damage any tissue and lead to aging and disease. Free radicals form in our bodies naturally as a byproduct of stress, environmental & dietary toxins and natural metabolic processes. Nature’s solution to free radicals is anti-oxidants. Anti-oxidants are substances that help put a stop to oxidation by providing the missing electrons to free radicals without becoming free radicals themselves. Thanks to the progress of science, we now better understand that related to oxidation is the natural process of inflammation. Inflammation, called “the silent killer,” is the leading theory on the underlying cause of many diseases (such as cancer and heart disease). The problem of inflammation lies not in a scarcity of electrons, as in oxidation, but in an excess of electrons. When you ground yourself, you are utilizing nature’s most powerful form of antioxidant and anti-inflammatory: free electrons. The effect does not need to come from an injection or a drug; it comes directly from the Earth. All you have to do is put your bare feet on the ground! When you are in direct contact with the ground (walking, sitting, or laying down on the earth’s surface), the flow of energy from the earth (free electrons) neutralises the impact of free radicals in our body. This induces favorable physiological changes that promote optimum health. 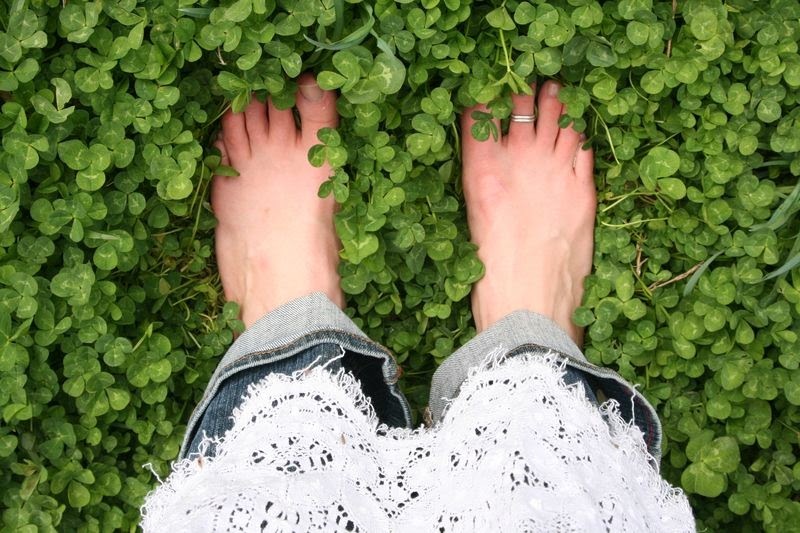 Earthing can be done by walking barefoot and/or sitting outside on the lawn, dirt, or sand. Earthing should be done for at least 60 minutes every day and for optimal benefits as much as you can in a day! These are microscope images of blood taken from three individuals just before and after forty minutes of grounding. (The before images are on the left, the after on the right.) The pictures clearly show a dramatic thinning and decoupling of the blood cells. The reasons why we need to walk barefoot and tap into the primal energy of the Earth. Inflammation has been linked to nearly every degenerative disease you can think of — cardiovascular disease, diabetes, arthritis, glaucoma, autoimmune disorders, cancer and many more. Earthing reduces chronic inflammation and related chronic pain. Earthing neutralizes the free radicals in our bodies, significantly reducing oxidative stress and readily recovers us from injuries, trauma and exhaustion. The Earth is the natural antidote for electron deficiency to achieve a healthy balance.